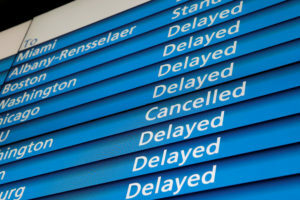 BOSTON — Amtrak has suspended service between Boston and New York City as heavy snow pummels New England. Amtrak says train service between the cities will be halted for the remainder of Tuesday. Amtrak initially said train service would be suspended until at least 11 a.m. The weather service issued a blizzard warning for much of the coast of Maine, New Hampshire, and Massachusetts. Meteorologists have said the nor’easter could bring blizzard conditions and nearly 2 feet of snow to some areas of New England. The National Weather Service says gusts exceeding 50 mph (80 kph) were recorded off Cape Cod Bay, in Bourne, early Tuesday.